- Can I make suggestions to improve the service? Our OpenBay Pro for eBay plans allow eBay sellers to connect with their OpenCart e-commerce store with our OpenBay Pro module. 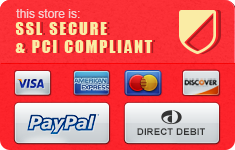 Payments are done securely through a PayPal subscription and can be cancelled at any time - there is no contract. If you need a bigger plan than what is listed please contact us. * There are no restrictions on the amount of listings you can create or re-list through the application. 1. Import frequency is the rate that our API will check your eBay account for new orders automatically. 2. "Products sold per month" is calculated based on the number of unique products/orders you sell on eBay over the previous 30 days. It is not affected by how many orders you sell on your OpenCart store. 3. eBay linked item limit is the limit of items you have linked between eBay and your OpenCart store. It is not affected by how many products you have in your OpenCart store.